I got my dog fixed on my birthday. It’s a glamorous life. Try not to be too jealous. Because Frijole is a rescue dog (although some folks would argue that his inclusion in the dog category is in doubt considering he’s half daschund half chihuahua), we were invited to bring him to a free spay and neuter clinic about two hours from home. “Free” is one of my favourite words, so I grabbed the leash, the understandably unexcited dog, a cup of tea and set out at six in the morning on a Sunday to drop my pup off for ye olde snip-snip. I found Barnes and Noble in Elmira, New York. I walked up aisles. I walked down them. I tucked into ill-lit corners with piles of books by authors of whom I’d never heard. I sniffed new books. * I scoured the clearance and mark-down books. When I tell you I spent hours, I mean it. When all was said and done, I carried my teetering stack of books to the register. While the clerk was scanning, scanning, scanning, I glanced at the time and realized I still had a couple of hours to go before I could pick up my now frijole-less Frijole. A glance to my right showed the semi-ubiquitous Barnes and Noble Starbucks, so I paid and scooted over there to spend a little air-conditioned time admiring my new acquisitions. There are a couple of impulse buy food words that get me every time; citrus, lemon, lime, orange, berry and hibiscus. Lo and behold, Starbucks had a little something called a Very Berry Hibiscus Refresher. I was all over that like my kids on chips. I ordered one at the counter and they asked, “Can we make that a venti?” I am not a Starbucks veteran, so I had NO IDEA what that meant, but I wanted to be agreeable, so I said yes. Heck. It was my birthday. I watched while she mixed up my refresher, took it back to the table, took a sip and did what any self-respecting blogger does when she likes something. I posted a picture on instagram. Then? Then I did what any self-respecting member of my family would do. I vowed to learn to make it myself because at that point, I had learned what venti meant. It meant EXPENSIVE. With the justification, “It’s for research!” singing in my head, I ordered a second venti Very Berry Hibiscus Refresher while tucking an information card in my pocket and asking the poor gal what went into the drink. She said “Green Coffee Extract, this hibiscus mix stuff, dried berries, water and ice”. All that was left was for me to slurp my drink, call my sister to tell her how she needed to try one, pick up my drugged and tender puppy and drive home for my annual birthday fried chicken extravaganza. Being cheap (and living a couple hours from the nearest Starbucks) is a marvelous recipe development motivator. I ordered green coffee beans from Amazon.com , busted out my stash of dried hibiscus flowers and freeze dried berries and set myself to experimentation. I opted to make my green coffee extract using cold extraction. This sounds far more difficult than it actually is. In short, grind unroasted coffee beans, cover with water, let it set in the refrigerator overnight then strain it. Ta da! Yes. It truly is that simple. I make a quart at a time, so I can have this whenever cravings strike. While researching green coffee beans, I found out that green coffee is currently the golden child of the diet scene. Evidently, taking green coffee extract (in any form) jacks up your metabolism so that -all other things remaining the same- you metabolize your food more completely and therefore lose weight. Who knew? Because cold brewing/extraction is a gentler process, I used my beloved new Krups coffee grinder/spice mill from BigKitchen to break the beans up just a bit. I didn’t need to obliterate them like you would for a regular cuppa joe, just break them open a little. Can we talk about why I love this grinder for just a moment? My husband is the coffee drinker in the house. I’m a tea drinker. For years, our coffee grinder has been ‘his’. I borrowed it once -just once!- to grind some spices and we both ended up unhappy with the results. My cumin tasted like coffee and his coffee tasted like cumin. The rest of my spice and herb grinding took place in the pestle and mortar. Sigh. This new grinder is mine, MINE I TELL YA, and it will never have a roasted coffee bean in it as long as it lives. The green coffee beans don’t count because they don’t have that strong flavour, aroma, etc… that you find in roasted beans. Additionally, green coffee contains about one-fifth of the caffeine of its roasted counterpart. This probably accounts for why I can drink it without having to be scraped from the ceiling. So why do all this? Hibiscus and berries are bright and fresh and naturally vibrant pink and full of vitamins and minerals. Green coffee is a metabolism booster and makes you feel energetic without feeling strung out. Put them together with ice and water and you have a truly refreshing drink. If you have a Starbucks lover in your life, a jar each of the hibiscus syrup and green coffee extract in a basket with a couple bags of the freeze-dried berries would make a wonderful gift! Zingy hibiscus and sweet freeze dried berries get shake-shake-shaken into homemade green coffee extract (yes you CAN do that at home!) and ice creating a fabulous knock-off of the Starbucks Very Berry Hibiscus Refreshers at a fraction of the cost. Add the beans to a scrupulously clean spice or coffee grinder, pulse the grinder about 10 times just to break up the beans a little. Empty the beans into a half-gallon glass canning jar or another similarly sized container with a tight fitting lid. Pour the cold water over the beans, fix the lid in place and shake a couple of times to make sure it is all good and distributed. Stash in the refrigerator overnight to extract. After it has soaked for at least 8 hours, line a fine-mesh sieve with a coffee filter or a piece of cheesecloth positioned over a pitcher. Shake the green coffee and water mixture one more time and pour it through the lined sieve. Transfer the strained liquid to a jar (it should fit into a quart jar) and store in the refrigerator for up to a month, using as desired. Add hibiscus flowers, sugar, and water to a heavy-bottomed saucepan over medium high heat. Stir frequently to dissolve the sugar and bring to a boil. As soon as the mixture boils, turn off the heat and add a lid to the pan. Let it steep for at least 20 minutes, but not more than 40 minutes. Strain through a fine-mesh sieve lined with cheesecloth or a coffee filter into a canning jar or pitcher. Store in the refrigerator in a tightly lidded jar or other stain-proof container. Hibiscus syrup WILL stain! 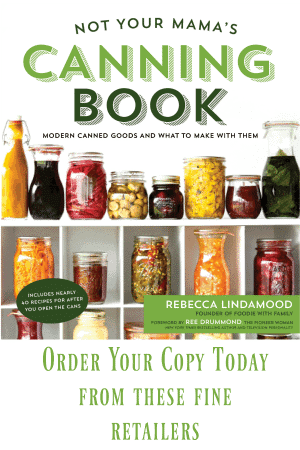 Add 2 cups of ice to a quart canning jar. Pour the green coffee extract and hibiscus syrup over the ice, add the freeze-dried berries and pour the water over everything else. Fix the lid tightly in place and shake vigorously for about 25 seconds. Pour into a pretty glass and sip. Heck, gulp if you want to gulp! This is good stuff and it's good for you! I would have to get the Cuisinart PerfecTemp Cordless Electric Tea Kettle…. too cool and very useful. A beverage dispenser for sure, but so many choices, I would have to study a bit more. Liked Big Kitchen on Facebook! Kid in a candy store… Oh my! I think the hot chocolate maker-milk frother is pretty sweet. Or just one of the plain old milk frothers. Liked them on the effbooks. Follow you on the twitters. Also, I post comments too quickly and need to slow down. Oooo I wiould but the rocket pop ice molds! Too cool! Spending time in a library or bookstore is one of my favorite things to do. Seriously. The last time the hubby and I were on a mini vacation one of my requests was to go to the local Barnes and Noble, get Starbucks and just browse. Loved it! I could definitely go for some new wine glasses. But really, anything from there would be nice. Mama needs a new French press. A boding stainless steel one please and thank you. Ooh, I would definitely buy the Chef’s Choice Belgian Waffle Pro at BigKitchen! I like Foodie with Family on Facebook! I like the bento sets for packing lunches. wow what a great site! i would love some of the mixing bowls with lids! Oh, my, too much fun stuff there! I fell in love the 6 piece assorted color bottle set (under the Summer category). They are so pretty and I’m sure that I could find things to fill them up with! I would love to be able to make frothy chocolate milk! Fun! Oh, and I follow you on FB already! I like the round glass beverage dispenser. I must say, I would probably choose the silicon bundt pan. I’ve never made a bundt before, but every time I watch My Big Fat Greek Wedding, I want to. I would buy AIREGOURMET ANODIZED INSULATED BAKING SHEET 14X16. Because I’m in serious need of new baking sheets! There are so many tempting things!!! But I’d probably get the adorable BlueAvocado Plum Doodle Insulated Lunch Tote since school starts back up next week. I looooove the color! I could totally use the cute sandwich cutters – perfect for back to school! Words cannot express my obsession with this. I’ll probably end up buying the Orka Raspberry Silicon Baking Pan, and any number of other loaf pans. Mmmm! Yes, I love the smell of books! Thanks for introducing me to BigKitchen, I can’t believe the selection! Most surprising was the selection of fancy chopsticks, which my Asian obsessed son would love; or maybe a french press; or maybe the lobster embroidered bib! Too much to choose from. I will def be going there for Christmas shopping, there is something for everyone! Oh, yes, and the fall leaf parchment place settings will be on my table this fall! Already like Foodie on Facebook! I would love a new mandolin slicer. I would like a composting pail. I liked Foodie With Family on FB. Well, that was fun. I would love the viking Professional Stainless 7 quart mixer, but realistically, I would more likely be able to purchase, Henrietta Hen Egg cooker or OXO Good Grips Food Scale. BigKitchen is awesome thanks for introducing me. Like it on FB and Twitter! I would love the grinder! My favorite section is always the kitchen tools. Peelers, brushes, spatulas and scrapers Oh My! The Le Creuset Cassis Stoneware Fruit and Pasta Bowl looks great and useful for my family. Ooooo I would buy the Cuisinart mix it in soft serve ice cream maker! I love ice cream! Ohhhh, Big Kitchen, how I would love to have a Krups coffee maker. The biggest one that does everything, please. I like Foodies on fb! I like Big Kitchen on fb! I’d love a mini donut pan. Love the Le Creuset set of Mini Cocottes….so cute for individual servings! It would be a toss-up between the NordicWare chicken leg roaster or one of the many fun popsicle molds…this has been the summer of popsicles. Liked you on Facebook, gladly. Pinned your beautiful pics of the hibiscus cooler, too. the handmade glass drink dispenser with wroght iron stand…on my want list for a while! love the coffee grinder also! I would love to get a new waffle iron!! Mine is getting warm rather than hot…waffles do not turn out so great any more! I like the bake and serve containers with the glass lids. The first thing I saw was a freezeable lunch box – ingenious! A Cuisinart food processor from Big Kitchen would make me very happy. I love that they have lunchbots! Those would be great for food on the run! Wow, Big Kitchen has beautiful stuff! I am looking for a dispenser for cold drinks, and the Artland Diamond Glass Beverage Server is pricey but a beauty. I love the beverage dispensers, especially the pedestaled styles. I would love to have the large vintage mixing bowl. 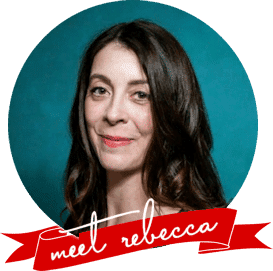 Rebecca, you are a kindred spirit! Nothing better than Barnes & Noble, Starbucks, and the smell of books! As I live overseas, I can’t enter the giveaway, but do have a question about the recipe. I live in West Africa so the hibiscus flowers are no problem, but the freeze-dried berries are! Is it possible to substitute frozen? If so, how would I go about that?!? Just wondering if it’s possible! Oh, yes, Patty!!! You can definitely add about 1/4 cup of frozen berries to the beverage instead of freeze dried. I was just shooting for ‘as close to the original’ as I could. I know they use the dried ones. I did have a lovely birthday; books, berry and hibiscus drinks, a no-longer-able-to-procreate-dog, and fried chicken to my heart’s content. It was wonderful. I just took a peek at BigKitchen. What a great site! I will/would most likely buy the Wusthof Classic Bread Knife. If my budget could afford it , the Vitamix! I checked out Big Kitchen & loved so many items! I never knew the website exsisted. It looks like they have great prices! I’m a culinary student so any kitchen website is very hard to resist! My first purchase would be a mandolin because I have been wanting one for awhile now! I liked Foodie with Family on Facebook. Id love to get a coffee grinder. One of the first jobs I had (outside working for my dad in the orchard!) was in a small local bookstore the summer before I started college and during Christmas break, then many years (about 20 – yikes!) later I worked in a local used bookstore for almost 3 years until she closed. . .I’d still be working there continuing to collect even more books. My favorite thing when I go visit my friend in Portland,OR is to get her to take me to Powell’s Books — takes up 1 full block and at least 3 floors (maybe more! )– I’ve never been in there for more than an hour each time, but I always manage to leave with at least 5-6 books. . .at least. Bookstore nirvana. . .*sigh* And, in Seattle, WA there used to be a little bookstore (went to once) completely devoted to cookbooks and books about food. . .Baker/cook/bookworm nirvana! I need a cup of tea, some chocolate and a good book. I would most love from Big Kitchen to have the Bamboo Lattice Pattern Tea Tray. I love serving tea in the traditional manner and this is a beautiful tray for it. Thank you for the generous giveaway!!!! Just discovered your blog today – really great stuff! I love the cowboy boot nightlight in the Big Kitchen site! I’ve been looking for a bundt cake pan and a square cake pan to add to my baking collection. That’s what I would purchase at Big Kitchen. I LIKE BigKitchen on Facebook! I follow Foodie with Family on Twitter! I follow BigKitchen on Twitter! *Drool* Code name Chroma Type 301 5 3/4 (Or totally awesome space-aged knife) would be my poison! And liked Big Kitchen on facebook! ***Please tell me someone else loves the smell of books…** ME ME ME…. I do love my Kindle, but there is something about the smell, and feel of pages that beckons me irresistibly many a time…..
Hi I also talked to a barista at Starbucks and they told me that the base is white grape juice. Also try adding a few pumps of raspberry syrup it makes it even more delish! Can I use a Magic Bullet to break open the beans? Had my first Very-Berry Hibiscus Refresher at Starbucks yesterday, so of course I had to come find a recipe for it. Great blog! Smelling books and drinking VBHR @ the bookstore sounds like the perfect way to spend a birthday. Thanks for the recipe! Looooovvvvveeeeee!!!! Thank you!!!! Ive spent a small fortune on these additive drinks over the last couple of weeks. Sooooooooooo, sooooooooooo to find an awesome knock-off recipe. Thanks again!! Where do you get the unroasted coffee beans??? Thank you. love it. I got mine from Amazon.com. There should be an affiliate link in the story, but I will check tomorrow to make sure! I found it. I was just trying to get it local. Can’t wait to make it:)))) giddy with excitement! Lyndsay- if you want to try again with the ingredients you have, double the sugar in the syrup ! I ramped back on sweetness out of personal preference. You can use less syrup, it will be more sweet and less dark. I kind of dig the slight differences between homemade and purchased- it allows customizing to taste! I totally agree with Lyndsay above. I spent $50 ($30 on the beans and $20 on the hibiscus) and it turned out horrible. I added tons of sugar because I like things sweet, but it in no way resembled the refresher. The green coffee bean extract has a disgusting flavor and the hibiscus syrup did not remind me of the refresher at all. Sorry to be a debbie downer, but I thought I’d share my experience as a cautionary tale for others. I didn’t spend anywhere near that kind of money on the beans (what variety did you buy? That may have had something to do with the dislike of the green coffee extract), and the hibiscus is good for other things… Don’t give up hope. The green bean coffee extract by itself is not palatable. 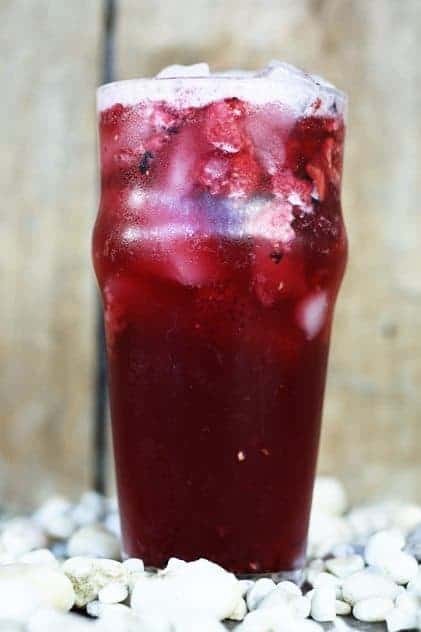 That’s for sure… You’re not supposed to use much of it in the refresher and I found that 1 tablespoon diluted by the hibiscus syrup and water disguised the flavour of the extract. If you still found it present, you can reduce that even further. And I did mention in the post that it was slightly different. It’s bound to be since it doesn’t have beet sugar which is what Starbucks uses to sweeten and colour theirs. If you’d like it to be even closer, try adding beet sugar. I’m sorry you didn’t like it, but I still enjoy it. I guess this is not my ‘please them all’ moment. Very true! I’m sitting at Starbucks right now drinking a refresher and it’s sooooo good! I wonder if the real flavor is just the white grape juice, though. When they first served it to me this morning, it tasted watery, so I asked for more of “whatever gives it flavor.” She pulled out a white carton of magical mystery juice, and when she poured it into my refresher, it was the exact color of white grape juice. Is there only a token amount of hibiscus syrup in the real thing? Or is the hibiscus syrup somehow yellowish? I got my coffee beans from Amazon, but it was a really big bag (I was planning on loving the recipe and making it often). It was actually the specialty drink at a party I threw on Saturday and it went over really well. It was great because my pregnant friend and her toddler could both enjoy it, and some of the guys put Malibu in it and loved it. I will keep trying! And you’re right that it needs only a very tiny bit of the coffee bean extract. So I guess maybe it wasn’t so horrible and disgusting? 🙂 Tinker with your proportions and I’m confident you’ll like it. Replace the water with white grape juice. Maybe that’ll be closer to what you like. I’m spreading your recipe around to a couple of friends looking to quit Diet Coke. Have the ingredients in my amazon cart and am READY TO GO. I was very pleased to see how much “stuff” I could get to make these for a small amount of money. Had forgotten all about this until I walked past a sale tag on the Refreshers Via tubes the other day. What kind of berries did you end up using? I’m going to look for blueberries, most likely. We can use those in our camping oatmeal packs too. 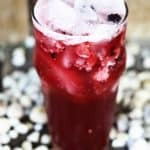 Could I substitute Torani Hibiscus Syrup instead of making my own? And because I cannot have caffeine, what can I use to substitute for the green coffee extract? Hi Gayle- I’m not sure how to make this completely decaffeinated. There may be decaf green beans on the market! And I haven’t tested it with Torani Hibiscus Syrup, so again, I’m afraid I’m not much help. I’d love to hear your results if you give it a go, though! You may have just saved me (carry the 7, multiply by 12) a gazillion dollars! Im obsessed with how – you know – REFRESHING – these drinks are and since the safeway starbucks is literally 5 blocks from me this Hibiscus Habit is getting a little out of control. Thank you thank you thank you! Also, you’re writing is just fantastic. Getting a kick out of every paragraph! Hi Rose- I’ve updated the recipe to read 1/2 cup Hibiscus flowers! HELP! I followed this recipe to the letter, and it tastes nothing like Starbucks VBHR. I ordered high quality green coffee beans, and hibiscus flowers. Has anyone had better or same results? Thanks. Tinker with your proportions a bit, Stephanie! You may want more coffee syrup or more hibiscus syrup for your own tastes! I tried the Starbucks version and OH MY WORD!! GOOD BUT EXPENSIVE!!!! so I tried this and SLAM BAM THANK YOU, MA’AM, perfect!!! Thanks so much!!! HA! I’m so glad you liked it, Lorraine! The Starbucks Very Berry Hibiscus Refresher was awful. I love most of your stuff but this one was a major fail. It tasted nothing like Starbucks-all I could taste was the green coffee which in itself is disgusting. I’m sorry, will not be making again. Do you think it would taste the same with fresh berries? Funny read and informative! I am excited to try this at home since this is my favorite drink!